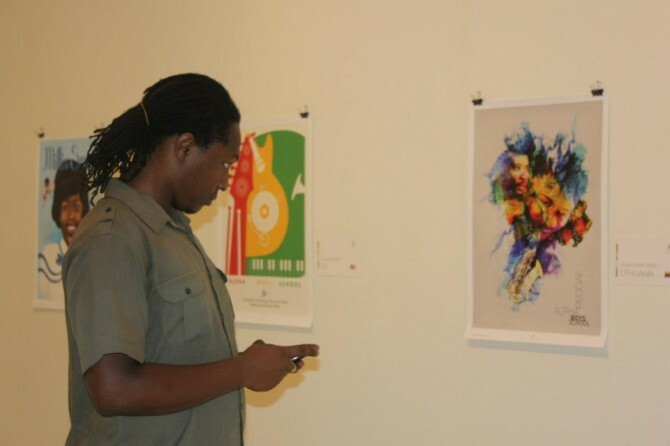 The Reggae Hall of Fame group presented a selection of the winning posters from the First International Reggae Poster Contest 2012 at the National Gallery of Jamaica on Sunday, 30 September 2012. At the end of the six-week exhibition, the group will hold an auction of the posters, with proceeds going to the Alpha Boys’ School, the legendary institution whose alumni have been credited with giving birth to Reggae. The exhibition, labeled World-A-Reggae: The 100 best entries, opened to a large and enthusiastic Jamaican audience. 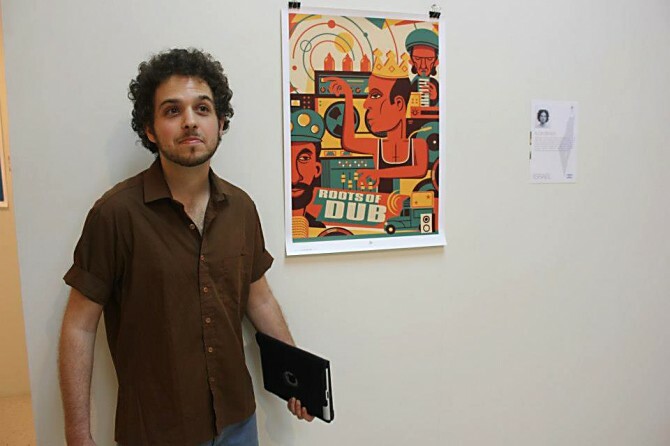 Michael Thompson, Jamaican co-founder, along with Maria Papaefstathiou of Greece, of the Reggae Poster Contest said: “We went to Kingston, Jamaica for one week to launch the exhibition and talk about our bold objectives. 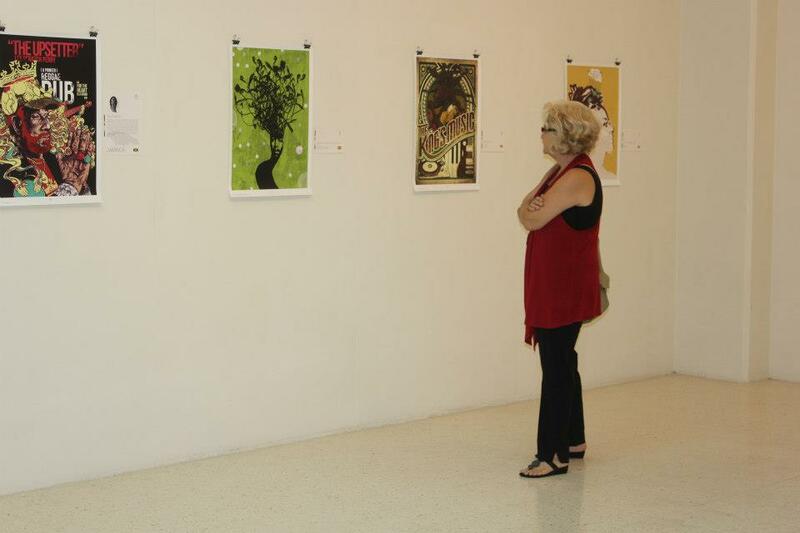 In addition, we were able to exchange views on the topic of social design with graphic art students on the island. Maria Papaefstathiou and Michael Thompson, founders of the contest and in the middle Alon Braier, the 1st place winner. Taj Francis on the left, the 5th winner and Alon Braier, 1st winner. Stephanie Cambell (marketing consultant of Halfwaytree Roots), Susan Lee Quee, our website developer) and Michael Thomspon. A lecture titled “Art, Graphic Design and Social Change,” was held at the Edna Manley College in Kingston, on October 2nd. This was conducted at the Vera Moody Concert Hall, Edna Manley College. The panel discussion was conducted by Winston Campbell, lecturer at the Edna Manley College. The panelists were Michael Thompson, Maria Papaefstathiou, founders of RPC. 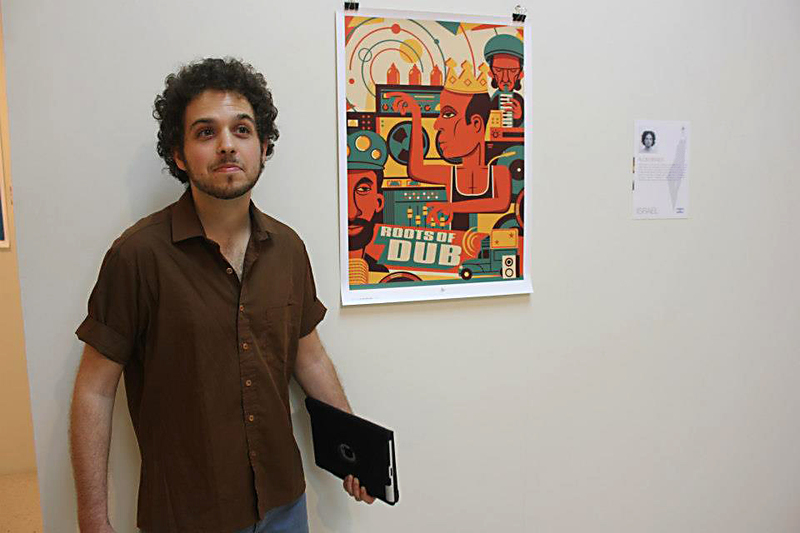 Alon Braier, first place winner of RPC and Veerle Poupeye, Executive Director of the National Gallery of Jamaica. It is our goal to make the Alpha Boys’ School both a theme and a beneficiary. 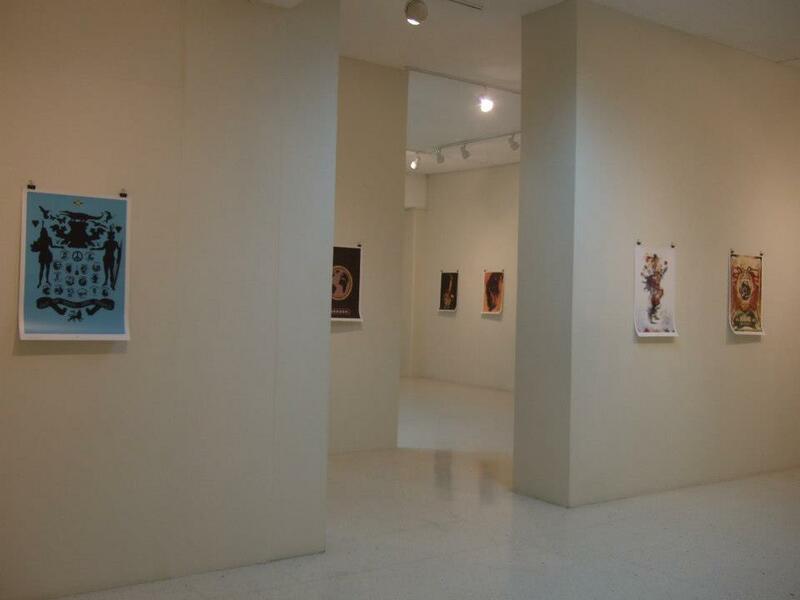 Following the exhibition, in November, the posters will be auctioned with 100% of the proceeds going to Alpha. While in Jamaica, Michael Thompson, Maria Papaefstathiou, and winner Alon Barier, visited Alpha Boys’ School and conducted a workshop with the students. Alon also performed a couple musical numbers with the famous boys’ band. The staff and students were excited by our visit and the presentation we shared with them on the topic of Screen printing. At the end of the presentation, Sister Susan, shared a silkscreened poster designed by Michael Thompson, printed by TIND Silkscreen from Athens, Greece. In addition, they were treated to a magical afternoon on October 2, at the recording studio of Creative Sounds Limited. 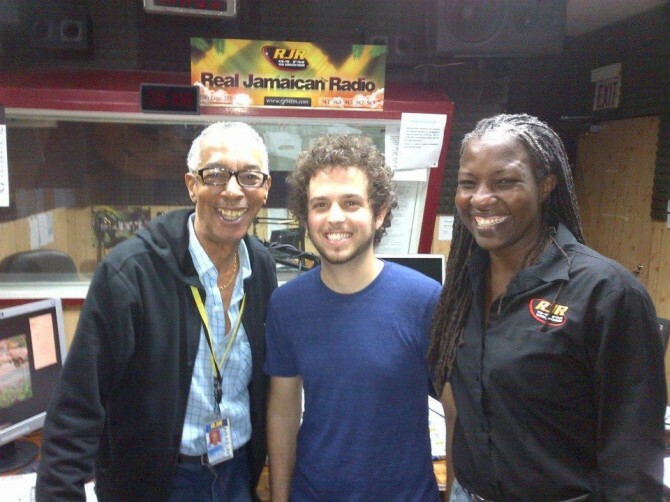 Maria Papaefstathiou, Michael Thompson and Maria Thompson, Dr. Veerle Poupeye, Director of the National Gallery of Jamaica, and her assistant O’Neil Lawrence, were given a tour and treated to a wicked impromptu dub session which featured our International Reggae Poster Contest 2012 winner Alon Braier of Israel, whose Dub tribute poster won him the trip to Jamaica. The jam session lasted for two hours of amazing reggae dub music, with Michael Carroll (managing director) keyboards, Paul Davidson (engineer) on drum machine and Alon Braier on bass Guitar. Creative Sounds is a leading recording studio and audio production house serving the communications/advertising industry in Jamaica. 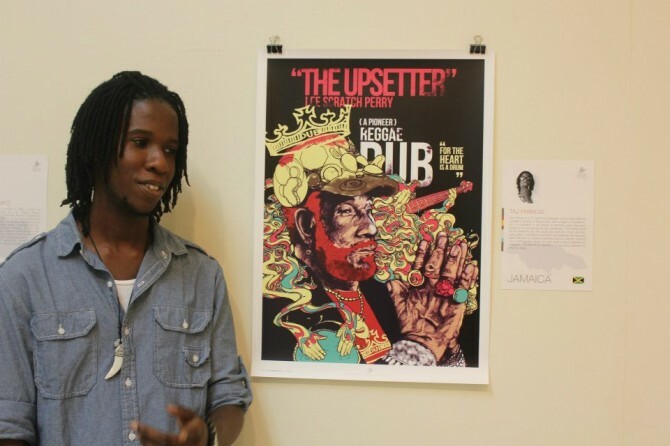 “We want to big Up the Creative Sounds crew for supporting the Reggae Poster Contest and the visit of our winner to Jamaica’” Thompson added. 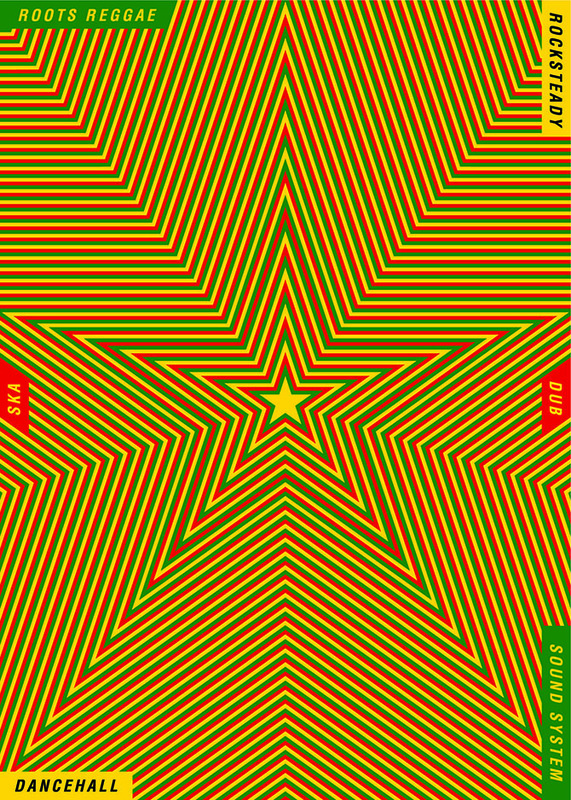 We wish to thank everyone who participated in this global journey we call The 1st International Reggae Poster Contest, and all those who worked behind the scenes to realize this testimony of love for Jamaica’s popular culture. A special thanks to Dr. Veerle Poupeye, O’Neil Lawrence and their wonderful staff at the Gallery for bringing this to life and make it possible for Jamaicans to see the powerful love the world has for reggae music, demonstrated through our poster contest. To all the judges who participated in choosing our 100 Best winners, and thanks to those who contributed their art to raise funds for Alpha as well. We also have to give big thanks to Mr. Ainsley Henriques and the Israeli Ambassador to Jamaica, Mr. Moshe Sermoneta, as well as the Government of Israel for bringing Alon to Jamaica. We wish them to know that Alon served as an amazing ambassador for his country and the contest. He was happy to share his musical talent and good spirit wherever he went in Jamaica, and was the perfect winner for 2012. 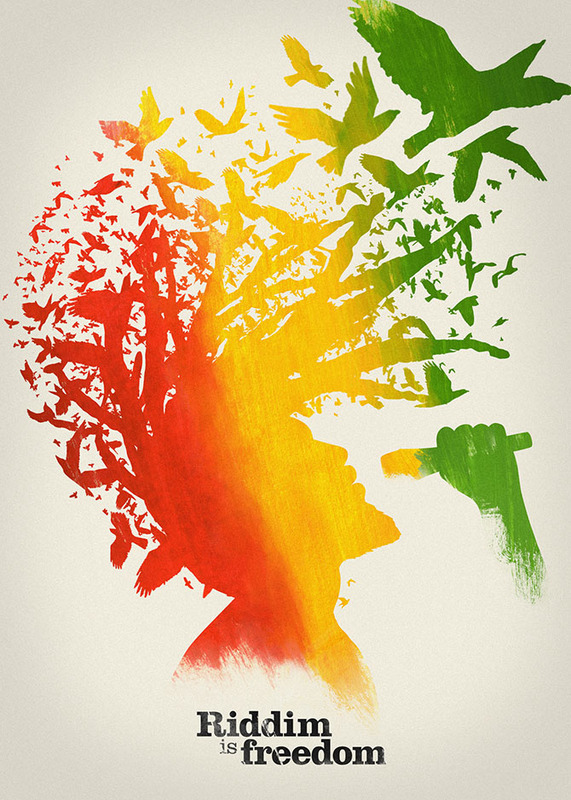 He represented very well, his country plus the soul and spirit of Reggae. We owe Professor Carolyn Cooper of the University of the West Indies our appreciation for her strong, overall support. 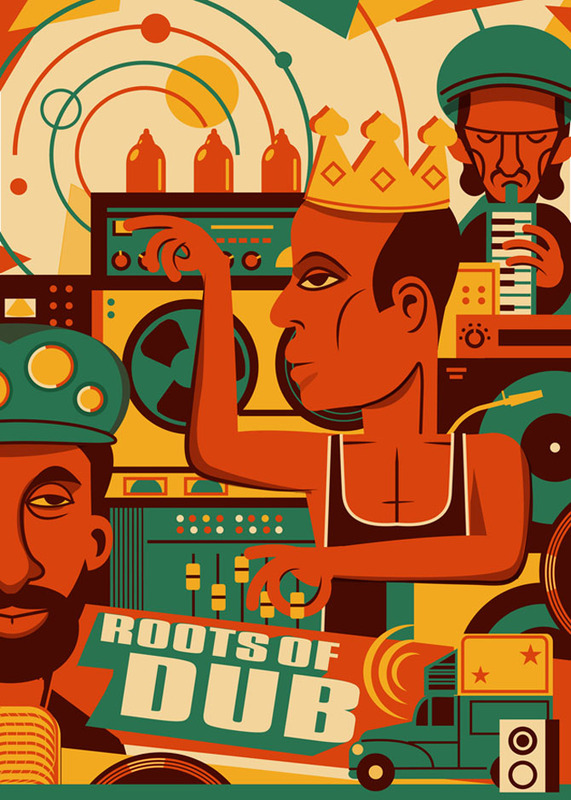 Big up! Heartfelt thanks to Sister Susan, Joshua Chamberlain of Alpha Boys’ School, Stephanie Campbell (she is magic), Audrey Headley, and Susan Lee Quee, our website developer. Thanks also to the Edna Manley College for giving us the opportunity to bring our message to the students. This is a fantastic journey that we will never forget. 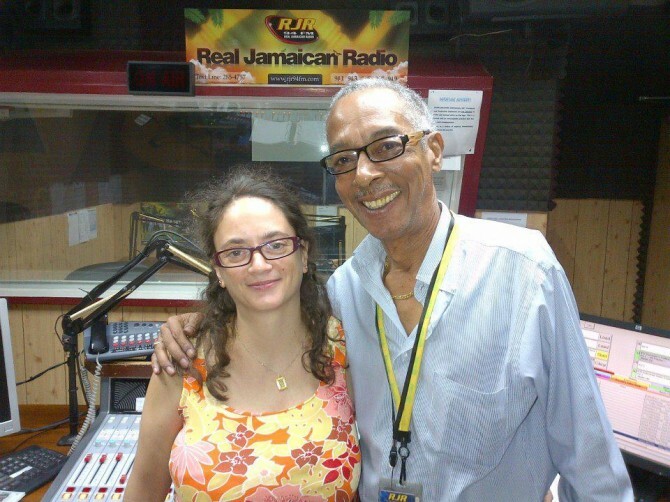 Some of our media exposure in Jamaica!